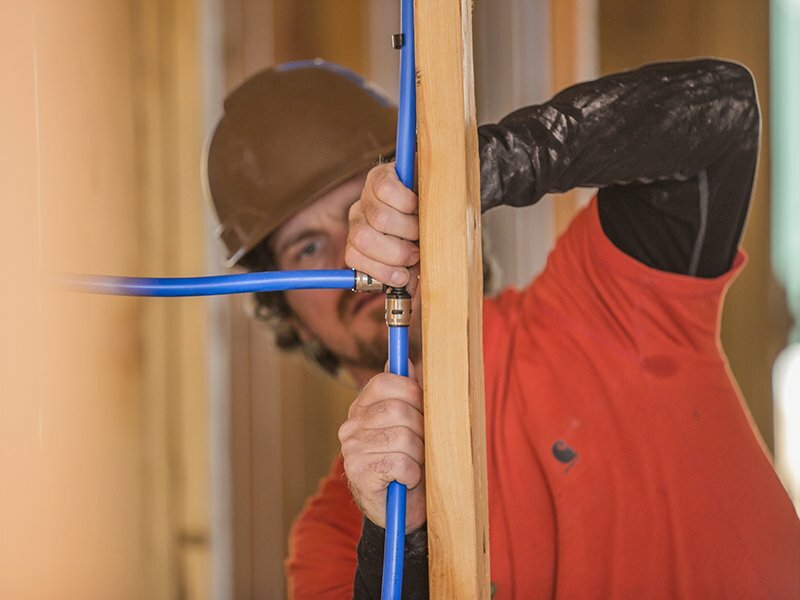 The SharkBite EvoPEX System is a push fit plumbing system designed for new construction, repipe and large remodel jobs. No special tools, glue, crimping or solder is needed to plumb an entire potable water plumbing system, enabling faster installation and increased productivity. This means jobs stay on schedule with less risk of potential leaks from installation errors. 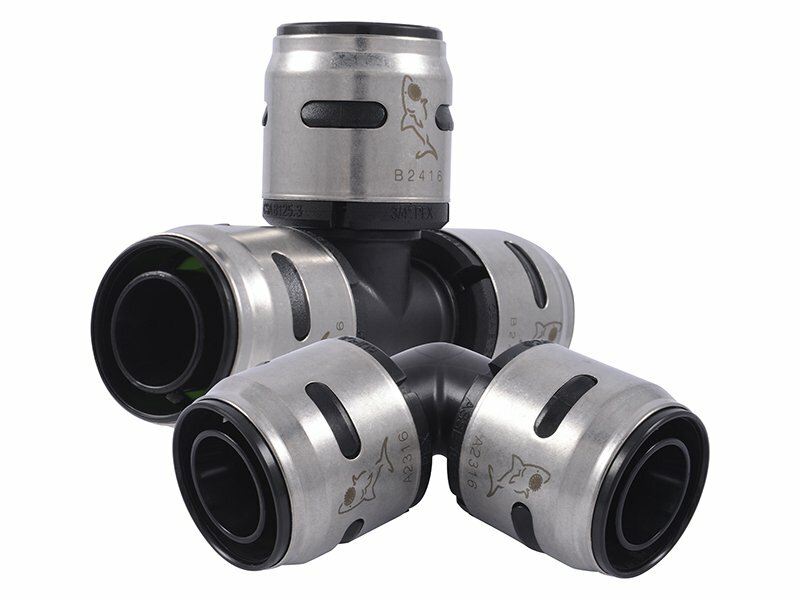 Each fitting has a green visual indicator to provide assurance that the pipe seal has been permanently engaged and the connection is sound. 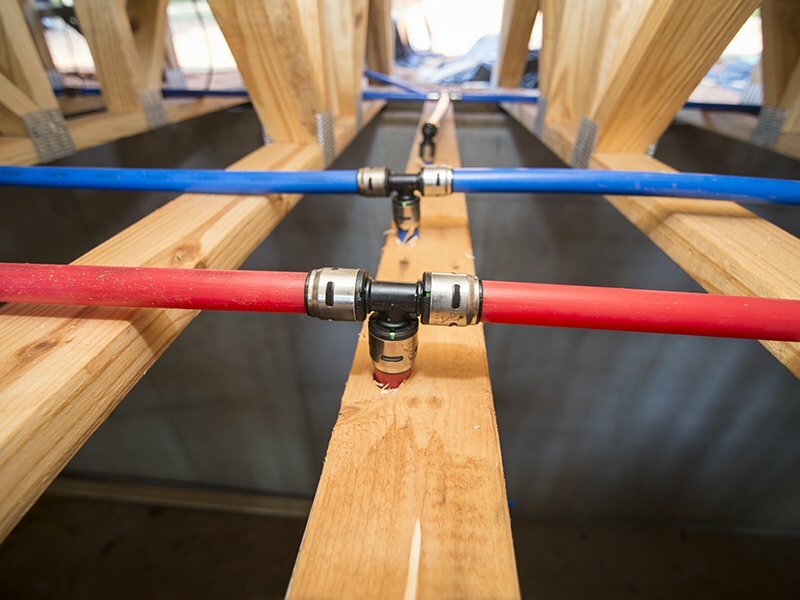 The EvoPEX plumbing system includes fittings, PEX pipe, outlet boxes, valves and other accessories needed for installing a complete potable water plumbing system and when installed as a system it has a 25-year system warranty. This product is designed to help plumbing contractors improve productivity and efficiency. For builders this means schedules stay on time, or many cases are completed ahead of time. In most instances it can help a plumbing contractor improve productivity by 30%-50%, which in turn helps them address challenges in the labor markets. The ease of use translates to a lower risk of leaks due to potential install errors. 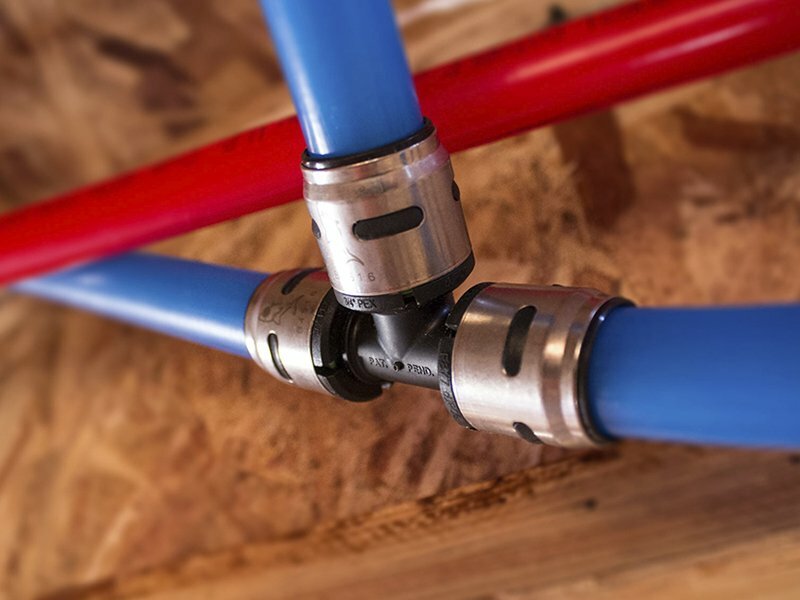 The EvoPEX fittings also feature a green visual indicator that enables contractors to quickly check and get assurance that the pipe seal has been engaged and the connection is sound. This combined with a 25-year system warranty gives them confidence and peace of mind in the system. 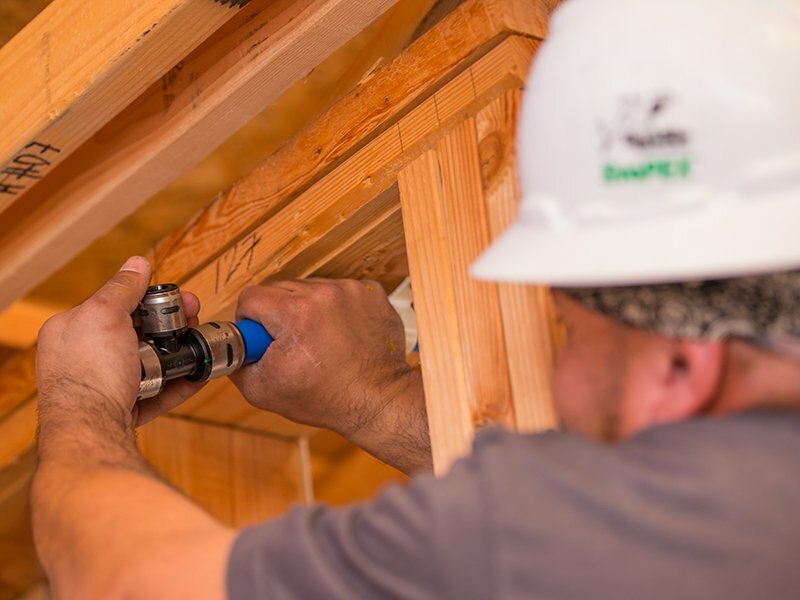 The SharkBite EvoPEX plumbing system gives homeowners a technologically advanced potable water system for safe and efficient water delivery throughout their home. The ease of use that system provides installers, along with the fittings green visual indicator to ensure a proper connection has been made, helps prevent potential leaks from installation errors that can cause mold, material damage, escalated water bills and increased insurance premiums. The ability for PEX to expand and contract provides a higher level of freeze resistance compared to rigid pipe systems. The EvoPEX system is also backed with a 25-year system warranty with consequential damage coverage to provide years of customer satisfaction.